Illinois House needs 500 signatures, and we are aware of no other Democrats running here! If you want an easier job, precinct committee member only needs 10 signatures and isn't a government position: It just makes you the go-to organizer for Democrats in your township or neighborhood. And you don't even have to campaign: If more than one person is on your ballot, usually one gets to be elected and the other appointed, and everyone's happy. If you know candidates that already want their petitions signed, contact us also. We don't have any of the (nine!) Democratic gubernatorial candidates' petitions, for example. El Paso Corn Festival (Thursday-Saturday): This Thursday and Friday evening, 5 pm to 10 pm, we'll be at the El Paso Corn Fest main tent in Library Park near the El Paso Public Library in El Paso. On Saturday around noon, we'll be in the parade! If you want to march and throw candy, show up in the El Paso Gridley Unit School District 11 parking lot (W. 5th St. & N. Elm St.) by about 11 am. If you want to just watch, the parade starts at noon. And on Saturday afternoon and evening we'll be at the tent again from the end of the parade until about 8 pm. Come see Democrats in person, sign candidate petitions to ward off Mr. "No Candidate", get information, and ask questions. Founders Day Dinner (September 19): This is our annual fundraiser. We'll be selling tickets at El Paso Corn Fest or e-mail web2016@wcdem.org with your information, and we'll get things arranged for you. (Or if someone likes to do it the old-fashioned way, send a check straight to Woodford County Democrats, P.O. Box 1051, Metamora IL 61548-1051 with the addresses of who the tickets should be sent to.) This dinner will be at the Cerf Center at Eureka College, Tuesday, September 19, 2017. We'll be open at 6 pm for cocktails, followed by dinner at 6:30 pm and the main program at 7 pm. We hope to have candidates and/or their representatives speaking, and you'll have a chance to mingle with other friendly Democratic supporters. $40 for an individual ticket (or $50 at the door), or if you're feeling wealthy, $500 to become a Wagonmaster and get a table of 8. 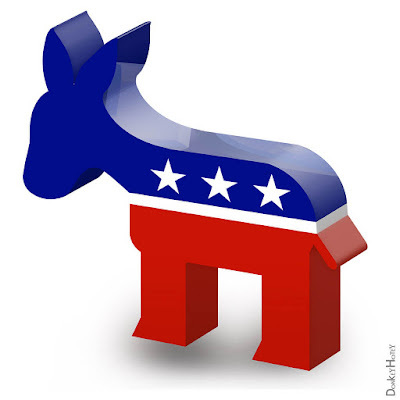 Woodford County Democrats regular meeting (September 26): This is free and open to anyone; no "Democratic" membership required! Self-pay meal optional, since this one will be in the back room of The Chanticleer restaurant, 744 N. Main St., Eureka IL 61530 (that's IL 117 on the north end of Eureka), Tuesday, September 26, at 6:30 pm, with main business at 7 pm. Come, bring friends, see lots of active Democrats and our new volunteers and activists, and have your voice heard! If Bellevue (west of Peoria, about 20 minutes from the bridge) isn't too far out for you, you may also be interested in the Bob Slover Democratic Family Picnic in the pavilion at the well-known Itoo Hall, 4909 W. Farmington Rd., Peoria IL 61604, on Saturday, September 23, 11am-3pm. Refreshments, fun, live music, and food provided by the Peoria Democratic county-wide officers. Candidate meet-and-greets and raffles too. Have we mentioned that our website https://wcdem.org/ has 2 calendars you can sync to your own mobile device's Android or iPhone calendar? We have now! It's under "Calendar: more Democratic & civic events." If you have any more fabulous news like this, or candidates that are hiding from us, e-mail web2016@wcdem.org and we'll get right on it.